I am Arne a 52-year-old German-born woman living in NZ who struggled with various health challenges/med. labels given by allopathic doctors for over 20 years. In 1997 I was finally labelled with ‘Multiple $clerosis’ (RRMS) and in 2006 the condition got progressive (SPMS). From there my health declined rapidly. On top of it nearly every year a new med. condition did appear (Asthma, Tachycardia, Hashimoto D., Renaud Syndrome, Depression etc. etc. just to name a few) and my ‘caring’ pharmacist meanwhile added every time a little ‘pressie’ when I came to pick up my drug supply for the next month. Everything got worse as longer the label was ‘treated’ by allopathic medicine. But along the way, I found some answers like restoring proper blood drainage from the brain (%80 stenosed jugular veins, CCSVI procedure done in 2010 & 2011), which did stop the progression completely but every time after one year my blood vessels did re-stenose again and the so-called “MS” came back. In 2012 kind of a miracle did happen, which changed everything in my life to the good. At this time I lived in Western Australia not far from the sea and because of the enormous summer heat over there, soaking in the Indian Ocean for an hour every day became routine for me. It didn’t take long that I recognised that there must be ‘something in the water’ because lifelong “M$” symptoms disappeared at least for the evening after I had that long swim/soak in the ocean. That’s when the obsession with Magnesium started and it didn’t take long to become a member of the Magnesium Advocacy Group https://www.facebook.com/groups/MagnesiumAdvocacy/about/ ! From there years of trials, research & learning followed, which deepened my understanding of the importance of mineral balances especially Magnesium, functional Copper & Iron if it comes to health and/or “disease”. Meanwhile ALL my conditions got better & better and in 2016 I was healthy enough again (100% drug & med. professional free, hurray!) 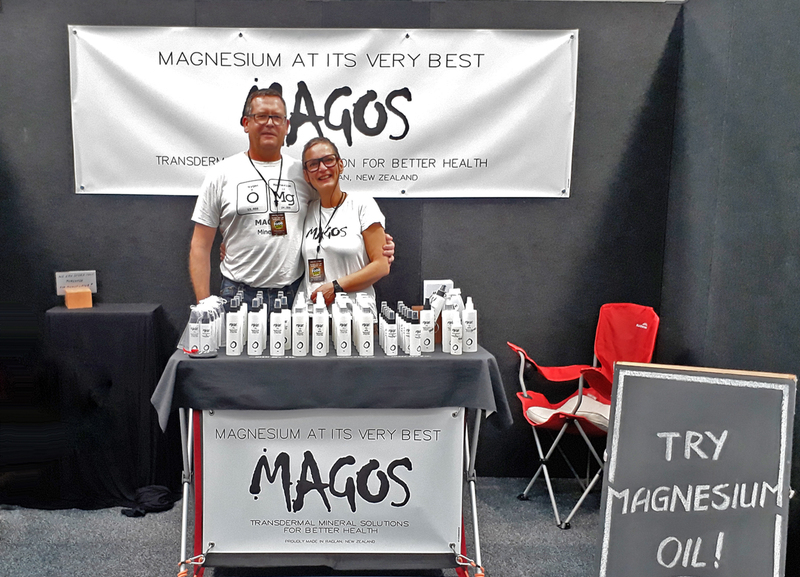 to start my own little business producing/selling the mineral combo that helped me most, a special combo of Magnesium & Organic Sulphur that wasn’t available in NZ that time.